Consultation services and specialists at your disposal, free of charge. From flower shops to hi-tech startups, we welcome all people interested in startups and entrepreneurship, regardless of their background or experience. Services and facilities offered by Startup Cafe Fukuoka City make it an ideal space to work, make connections and to learn about entrepreneurship. Get a 6 months head start on your business with the Startup Visa. Obtaining a visa is now simpler than ever. If you are an entrepreneur interested in founding your business in Japan, the six-month Startup Visa will give you the opportunity to live in Fukuoka and have access to all of the incredible startup support the city provides. The Startup Visa will give you ample time to get a sense of the city, the culture, and the professional climate all while establishing your business. 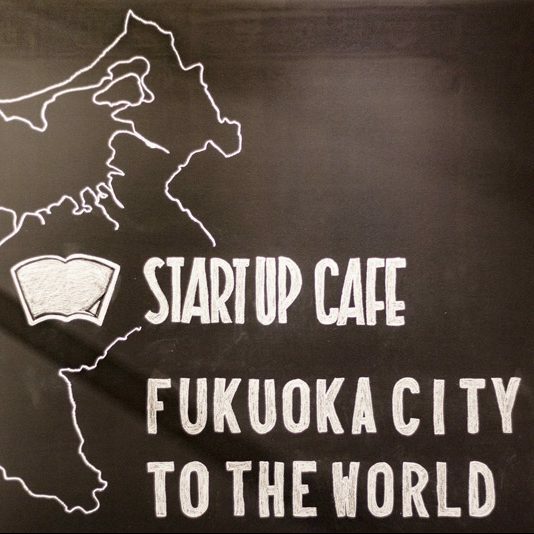 Startup Cafe FUKUOKA City is the official reception for Startup Visa applications. 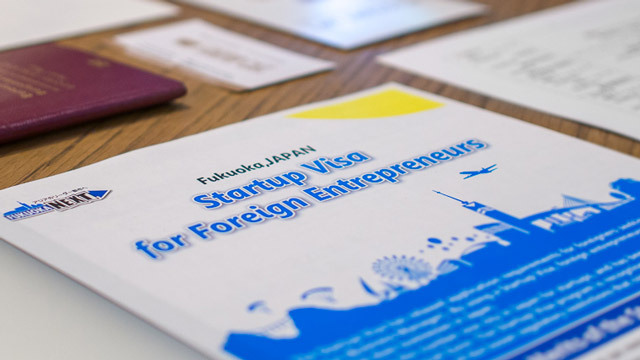 Startup Visa (Entrepreneurial Incentives for Foreigners) is a system established by the Government of Japan to help foreigners start new businesses in Fukuoka, one of Japan’s National Strategic Special Zones. 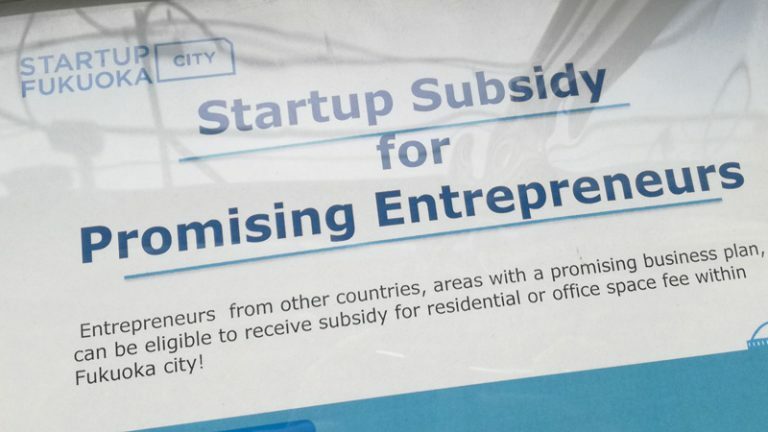 Startup Visa gives its holder the possibility to engage in business activities in Fukuoka City for six months before having to fulfill the requirements of a regular Business Manager residential status. Fukuoka City offers various perks for local entrepreneurs, such as tax incentives, low interest loans and subsidies. Most of these benefits are not only limited to Startup Visa holders, but are also available for foreign entrepreneurs with a regular Business Manager residential status. From Fukuoka to the world, from the world to Fukuoka. Do you have a business idea and want to make it happen here in Japan? Fukuoka City Startup Cafe’s Global Startup Center helps startups establish a foothold in Fukuoka City, and supports foreign expansion of companies established in Fukuoka City. Let us help you find your business opportunities in Fukuoka. You can also take part in various startup support programs offered by cities that have signed a Memorandum of Understanding with Fukuoka City. Startup support facilities that co-operate with Fukuoka City include DHaus in San Francisco, United States, and TSH in Taiwan. Cities that have signed a Memorandum of Understanding with Fukuoka City include Helsinki (Finland), Tallinn (Estonia), Taipei (Taiwan), Bordeaux (France), Auckland (New Zealand), and Singapore. STARTUP CAFE also offers consultations with various specialists, such as administrative scriveners, tax accountants, lawyers, and Japan Finance Corporation’s representatives once every week. If you have any questions about visa matters, you can ask our judicial scriveners, or if there’s anything unclear about the tax declaration system, you can get help from a tax accountant. Consultations are provided free of charge. Make a reservation either by calling us at 080-3940-9455, or by email. English consultations are available through reservation. Don’t be sorry! Get the facts first. Located inside Startup Cafe Fukuoka City, FECC offers consultations for employment-related legal issues. Common topics include making sense of the legal requirements for employing people in Japan, as well as protecting workers’ rights at the workplace. FECC will help you avoid common pitfalls when doing business and hiring people in Japan. English consultation is available through reservation, and all consultation sessions are offered free of charge.